It is a sad day for the world and for us as Human race as we just lost one of the greatest minds of our times. Pioneering theoretical physicist Stephen Hawking has died at the age of 76. The renowned scientist changed our assumptions about Black holes in 1974 when he along with Roger Penrose proposed that some things do escape the gravitational clutches of black holes. His theory combined Quantum mechanics and the Theory of Relativity. According to his theory, some kind of particles had to defy the immense gravity of a black hole and radiate out. This radiation was named Hawking radiation. This changed our fundamental understanding of gravity today. However, for most people, Hawking was better known as the author of ‘Brief History of time’. The book condenses essential cosmological concepts in an easier manner for a non-specialist audience. 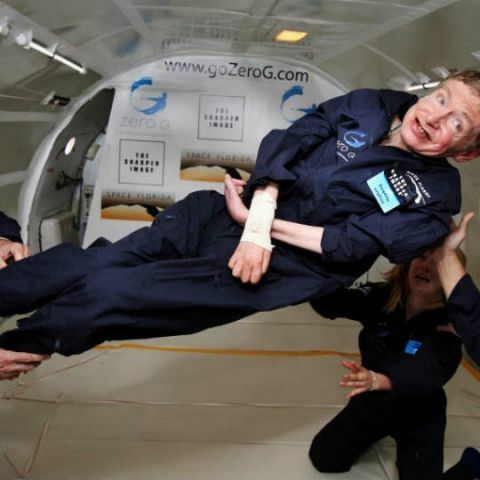 Hawking was recently seen on the Star Talk show, hosted by the well-known astrophysicist Neil deGrasse Tyson. He talked about what was there before the big bang. What if there was never a big bang? Hawking was a true celebrity. He appeared many times in Simpsons as well as many other TV shows including, Futurama, Star Trek, the Next Generation, Big Bang Theory and more. The 2014 movie ‘The Theory of Everything’, tries to capture the life and times of Stephen Hawking, starring Eddie Redmayne. He won the Academy Award for the best actor that year and the movie based on the book written by his wife Jane Hawking. At Digit, we also mourn the death of true scientific rock star. His theories and predictions will always light the future of this 'advanced breed of monkeys'.